I absolutely adore the Summer time and the warm weather. There is nothing better than enjoying a refreshing beverage with friends and family while enjoying the freedom of our country. So I thought I’d get you all in the spirit of our amazing country with Patriotic Crafts & Cocktails. Enjoy! Thanks Jenny- great round-up!!! Have an AWESOME week! Thanks so much for including my lemonade, Jenny! Have a wonderful week!! Thanks so much for including my Stars & Stripes T-Shirt & Scrappy Garland!! Thanks for sharing my Cherry Sangria, Jenny!! Love this round-up! Pinned! 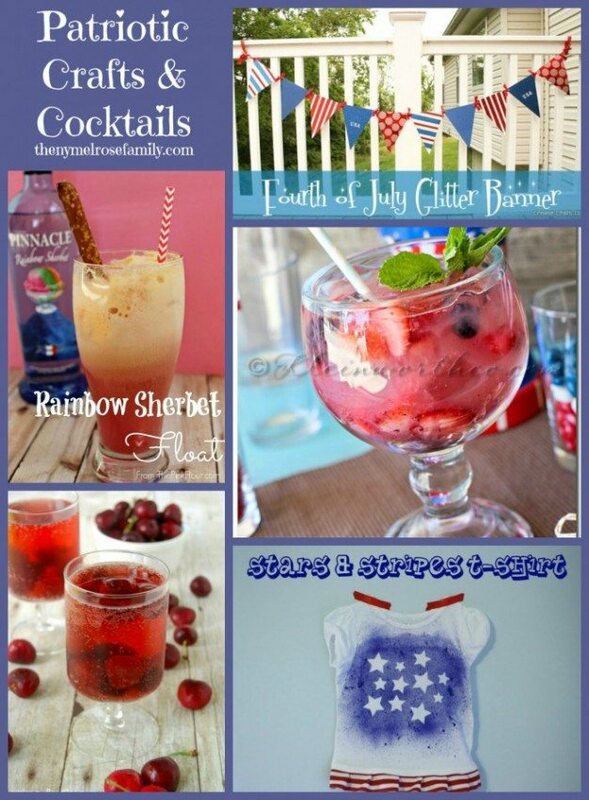 I plan on using the cocktail recipes for the adults & craft recipes with the kids for my weekend at the lake for the holiday weekend!